Most adults aged mid-50s to 85 consider sexuality an important part of life even if they do not have a partner, yet their lack of access to sexuality education can have personal and public health ramifications. The information most widely available tends to focuses on sexual dysfunction and ageist assumptions rather than on the benefits and joys of healthy sexuality. This program takes a values-based, social justice approach to the sexuality of adults in mid-life and beyond. It is one of a select few curricula that is both medically accurate and designed specifically for a growing population of adults aged 50 and above. 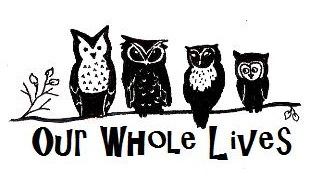 Our Whole Lives (OWL) for Older Adults reduces shame, normalizes age-related changes, enhances knowledge about relationships, and increases participants’ awareness of and confidence in their sexual choices and possibilities. It helps older adults enjoy the life-affirming benefits of sexual expression (solo or partnered) while supporting participants to determine when, how, with whom, or whether they will be romantically and/or sexually intimate. The curriculum also equips participants to move beyond their intellect to address the attitudes, values, and feelings they have about their own and others’ sexuality. for Older Adults joins the highly acclaimed comprehensive sexuality education series co-published by the Unitarian Universalist Association and the United Church of Christ. You are welcome if you are 50 or better, regardless of relationship status, sexual orientation or gender identity. This is a seven-week community program held on Wednesdays at Pilgrim from 6:30–8:30pm beginning this Wednesday, April 26. Space is limited to 30; to register, call 216-861-7388 or email kathyd@pilgrimalive.org.